The Solé Gourmet™ TR Series is designed with standard industry widths in mind allowing them to be easily incorporated into a wide variety of standard island and outdoor kitchen projects. 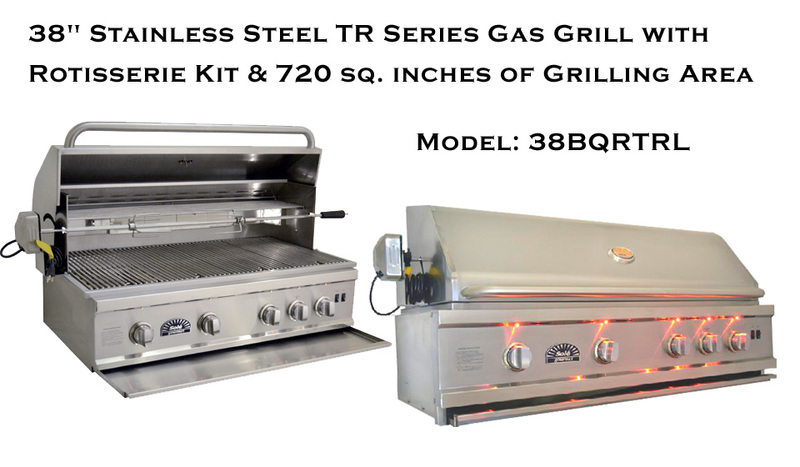 The perfect solution for quick, painless replacement of existing 26, 32, and 38-inch standard grills and grill openings. The smooth, flat sides offer a clean look, while the generous trim overhanging and surrounding the grill surface conceals gaps and unevenly cut openings.